If you don't blogstalk Kevin and Amanda, do yourself a favor and click on over there right now! This blog is chock full of amazing ideas, travels and information. Some personal favorites of mine are the free fonts, her RIDICULOUSLY BEAUTIFUL scrapbook room and the recipes galore. 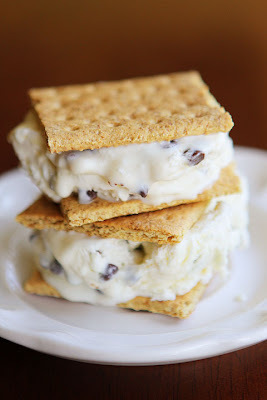 A few days ago, Amanda posted a recipe for homemade S'mores ice cream. Now, let me just say that everyone who knows me knows that I am head over heels in love with s'mores. 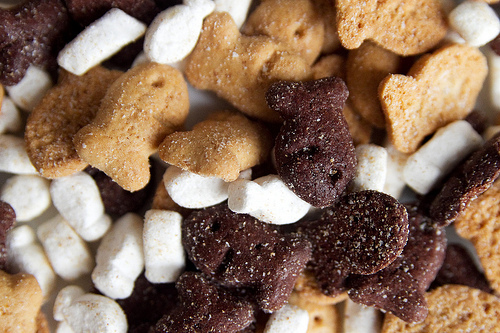 I have tried gourmet s'mores, s'mores brownies and even goldfish s'mores! And yes, the goldfish s'mores are delicious but I can't seem to find them at the store anymore. Tragedy! The second I saw Amanda's recipe, I knew I had to try it. I dragged my poor boyfriend to the grocery store on date night to grab the few ingredients I would need: whipped cream and sweetened condensed milk. 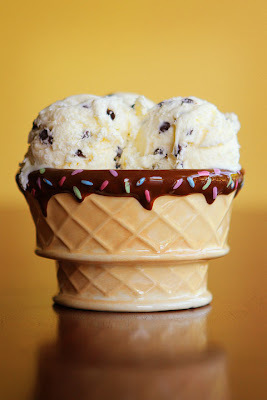 I already had fluff, chocolate chips, vanilla and butter. I made it the second we walked in the door, and it was ready the next day. OH MY WORD this stuff is pure heaven! I barely had the willpower to stop myself from eating the whole thing in one sitting. Here are some of Amanda's photos of this sinful, magical treat! How does this post relate to teaching, you might ask. WELL... it doesn't! Except that delicious ice cream = happy belly = happy teacher!